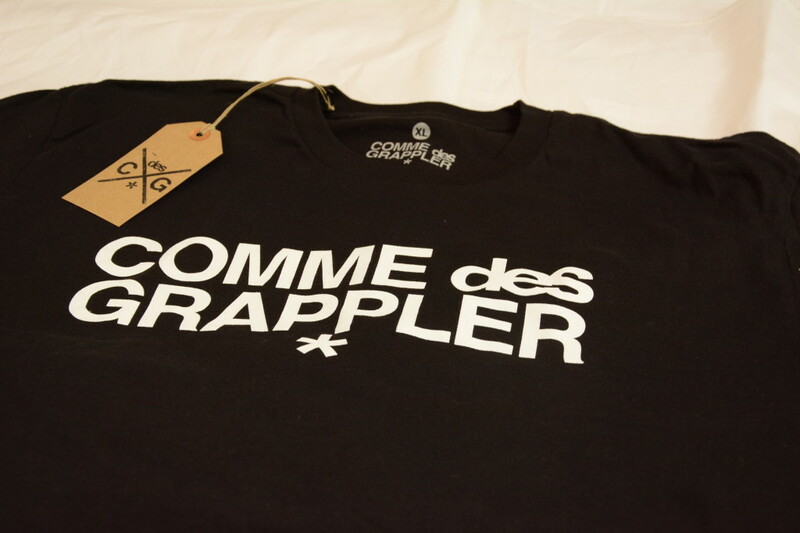 My favorite T-Shirt out of the bunch, the “CDG Arabic”, which is inspired by the BJJ scene in “Abu Dhabi”. It’s design is something you won’t see in BJJ apparel often. I almost feel like this design extends past BJJ. It’s beautiful use of colors and pattern is eye catching and the fit of all their t-shirts are superb. I even had to roll in this shirt when I showed up to a NOGI class in my Gi. It handled the abuse quite nicely. 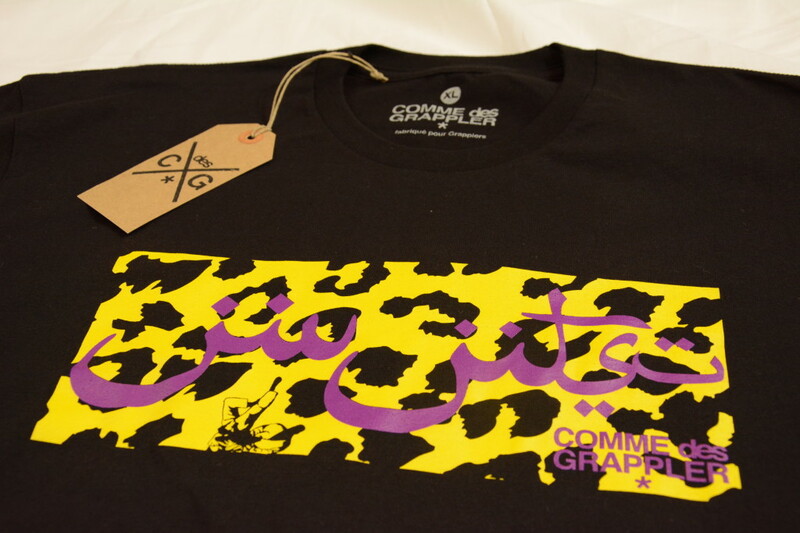 Although the “CDG Original” isn’t quite as flashy as the Arabic inspired T-shirt we first showed, this subtly designed T-shirt still fits great like all their shirt. It’s not all plain Jane either, the text is off to a tilt which does give the T-shirt some pizazz. Admittedly this is my least favorite out of the bunch in terms of design. It’s still a great T-shirt that feels great and doesn’t look bad, but compared to the others I am left wanting more. I think the whole “X” logo thing is extremely played out but there is something about theirs that does seem different than other X designs I’ve seen recently. It looks cleaner, more refined if you will. All of the T-shirts we reviewed had this nice logo on the bottom right of the shirt. Not sure why it’s backwards on the black shirts, but it looks nice enough and does add a little extra flair to the shirts. I failed to take a picture of the bags they came in before my wife threw them away *shakes fist at the sky*, but they had the same print as the Arabic shirt and looked snazzy as well. They definitely get an A+ for presentation. I really love the aesthetic appeal CDG has and what they are going for, I CAN’T WAIT to see what they will come up with next. It wasn’t until a conversation via text that we found ourselves.